One of my pet peeves is the traditional bulletin board. As a technology teacher I feel the traditional paper stapled to cork board is counter intuitive to what students do in the lab. Paper bulletin board are fine for certain things, but if students are creating animations or layered presentations or movies how do you do their work justice by printing a still image and putting it on a board. How do you honor and celebrate their work beyond simply unloading to YouTube or blogging about it? 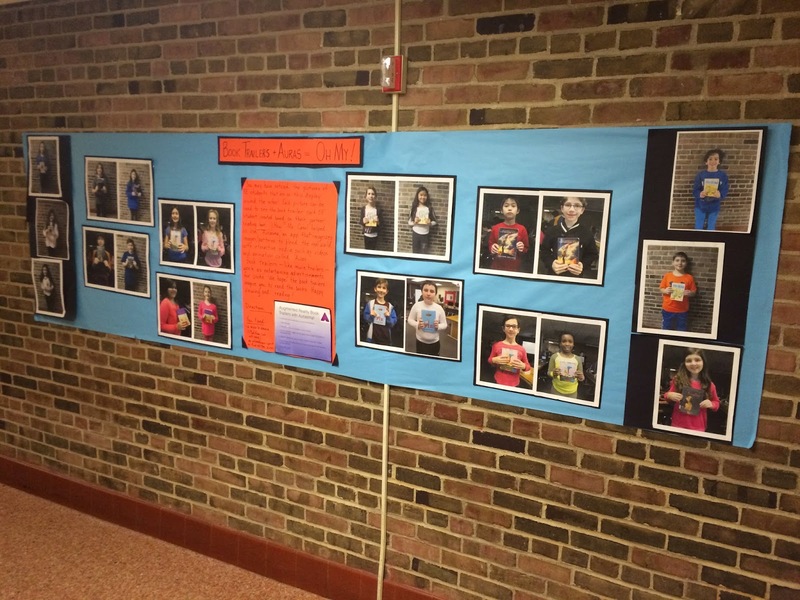 How do you showcase their work in the hallway without losing any of their awesome? Recently 5th graders from Ms. Edwards class (5E) used iMovie to create “book trailers” which are movie trailer style advertisements for their recently finished reading assignment. In working with 5E we wanted to find a way to make the book report more dynamic. More than just an essay. We settled on the book trailer because it allowed us to combine somewhat divergent mediums, print and video, in a way similar to what Hollywood does every day, turning a book into a movie. But how do you share their final products? Aurasma. 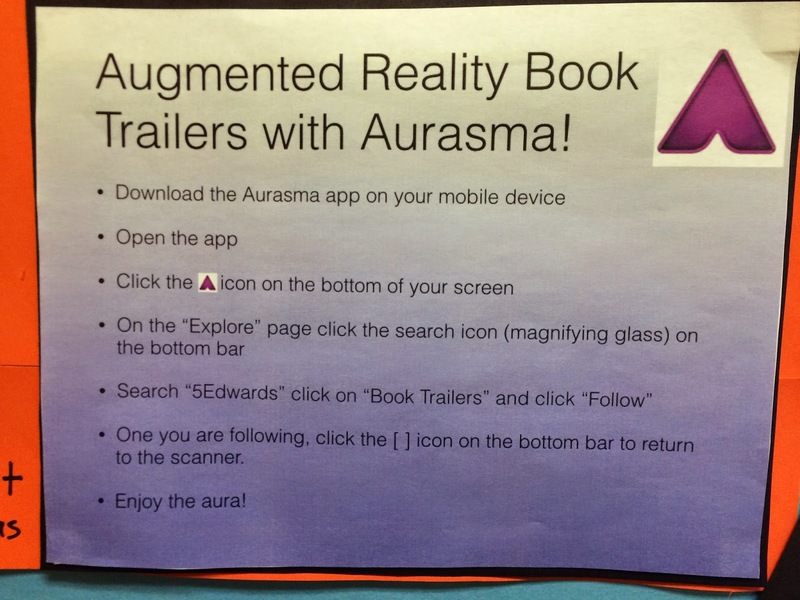 Once the students completed their book trailers they used a class Aurasma account to upload their .mov files to serve as the “overlay.” We took a photo of them holing their book and used that as the “trigger.” Once the “aura” was created, combining the image trigger and overlay, we hung the pictues in the hallway with a breif printed tutorial on downloading the Aurasma app, following hte class account, and watching the videos. Now, anyone who come though the halls can download Aurasma and watch these videos as they were meant to be seen. We have turned the paper bulletin board on it’s head and made it more than a piece of paper. The students love it and so do the parents and staff who stop to watch. 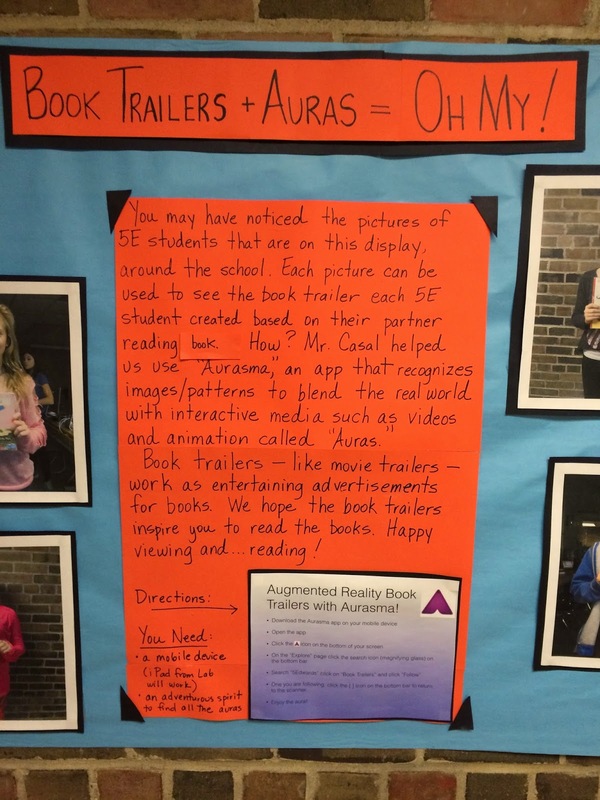 The plan going forward is to use Aurasma to “hang” all media projects on traditional bulletin boards around the building. 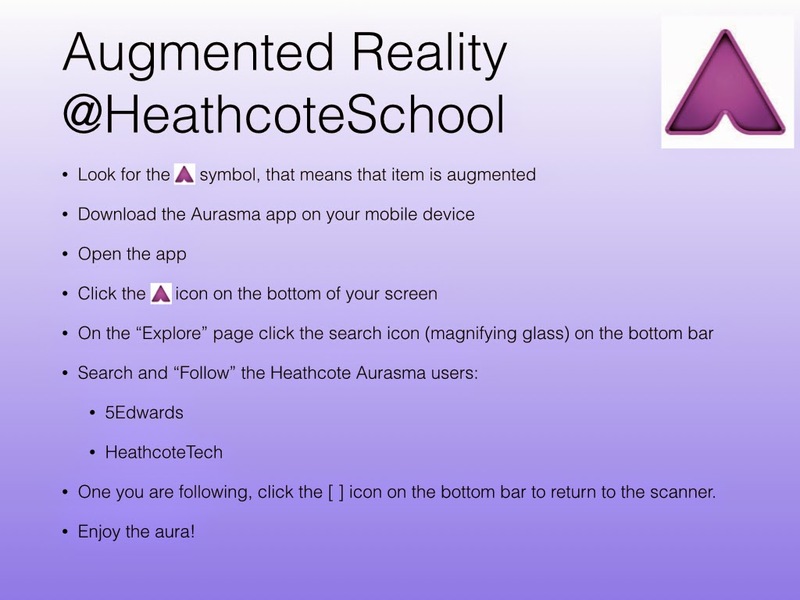 Keep an eye out around school for the Aurasma icon and follow the other channels @HeathcoteSchool to experience even more examples of augmented reality!